As a photographer she is interested in exploring both her own identity and that of marginalized groups or individuals with whom she can relate. Her practice makes use of both, appropriation and staged imagery in the presentation of images that aim to challenge the viewers’ preconceptions of sexual identity. She employs a variety of techniques such as photographic recreations or digital collages, in attempt to present a story that is both visually engaging and fairly represented. 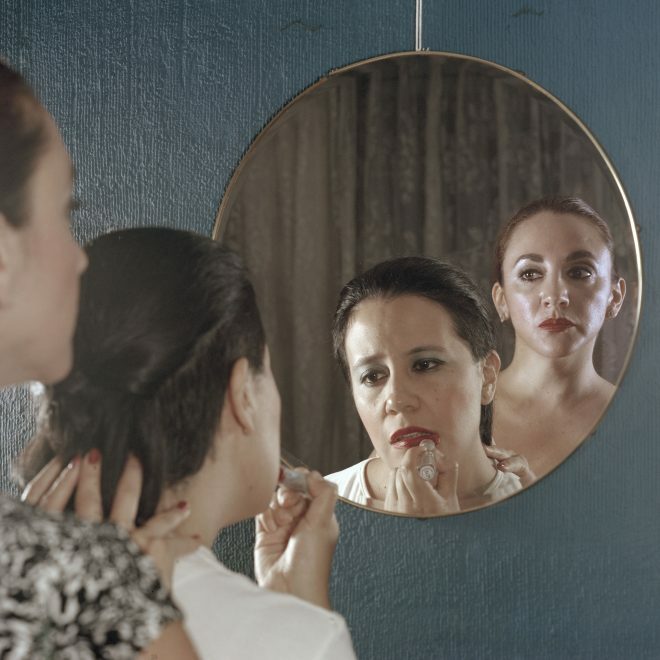 Blending traditional documentary photography with staged imagery, her work focuses on issues facing the LGBT community, exploring contemporary attitudes towards homosexuality in Ecuador. Putting herself at the forefront of her imagery, her work represents a personal and intimate challenge to social prejudices, and invites renewed discourse on the interactions between sexuality, family and personal freedom in contemporary society. Paola received a Bachelor’s degree in graphic design in Quito before completing her first photography masters degree at Middlesex University. She has recently finished a second masters in Photojournalism and Documentary Photography at London College of Communication. I consider my shero to be Nan Goldin, she was doing new and innovative themes at a time where women were still being misrepresented. I think that the work I do fits the theme of Sheroes because my interest is in representing stories and themes that have been ignored. Choosing topics that need a social focus and attention usually using myself as the subject of my photographs and diving into unique and unconventional ways to tell stories of misrepresented minorities.